These words were borrowed from by British wartime Prime Minister, Winston Churchill. With those sentiments in mind, we highlight a time when Parkes residents would have been more familiar with Sir Winston Churchill – the summer of 1945. Modern local newspapers, Parkes Champion Post and Parkes Phoenix, continue to provide a valuable service to the Parkes Shire and beyond. It is difficult to imagine just how important the newspaper was to Parkes Shire residents well before television, the Internet and mobile phones. Travel back in time via microfilm to view some of the reading being done in 1945. World War 2 is still raging, many residents are overseas contributing to the war effort and the only source of regular information is the newspaper. 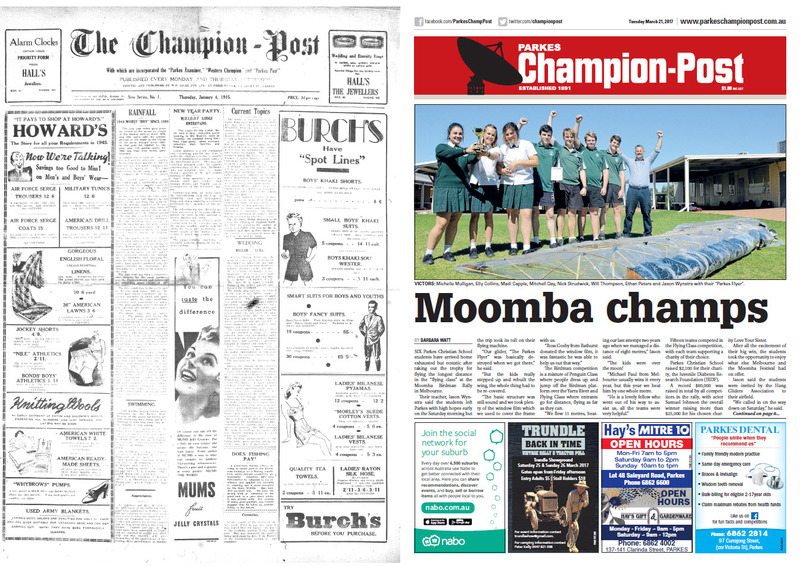 The Champion Post (the previous name for Parkes Champion Post) contained news, articles and advertising – all of which looks very different to contemporary readers! The beginning of 1945 didn’t bring good news – 1944 was the driest year since 1890! Most of New South Wales was in the worst drought since 1902, all while many men and women were overseas taking part in the Second World War! Less than two months ago The Champion Post was reporting the driest year since 1890. The following article details the huge amount of rain in approximately 30 minutes. According to the Bureau of Meteorology website, 1 point = 0.254mm – meaning that Parkes endured 48mm of rain. Radio station 2PK was surrounded by water, and home in Currajong Street were flooded. This data below, taken from the Bureau of Meteorology website, explains how to convert points to millimetres and vice versa. Farmers usually divide the number of points by 4 to give them the approximate answer in millimetres. When did Australia change from points to millimetres for measuring rainfall? In January 1974 the Bureau of Meteorology made the conversion from recording rainfall and evaporation in points to millimetres (1 point = 0.254 mm, and 1 mm = 3.94 points). 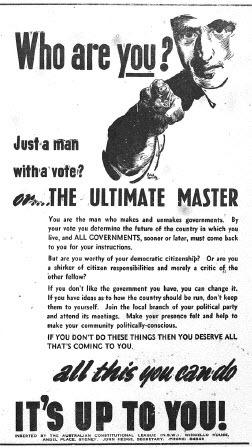 Having a look at some of the advertisements from 1945 newspapers, it is evident that this is a time vastly different from the one we know today. 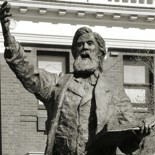 The Parkes Shire has an amazing history – full of interesting stories and amazing people. They are published here for you to read and share. The microfilm collection is one of the many resources in Parkes Library’s Family & Local History room. Whether a Parkes Library member or not, everyone is welcome to utilise these invaluable resources. 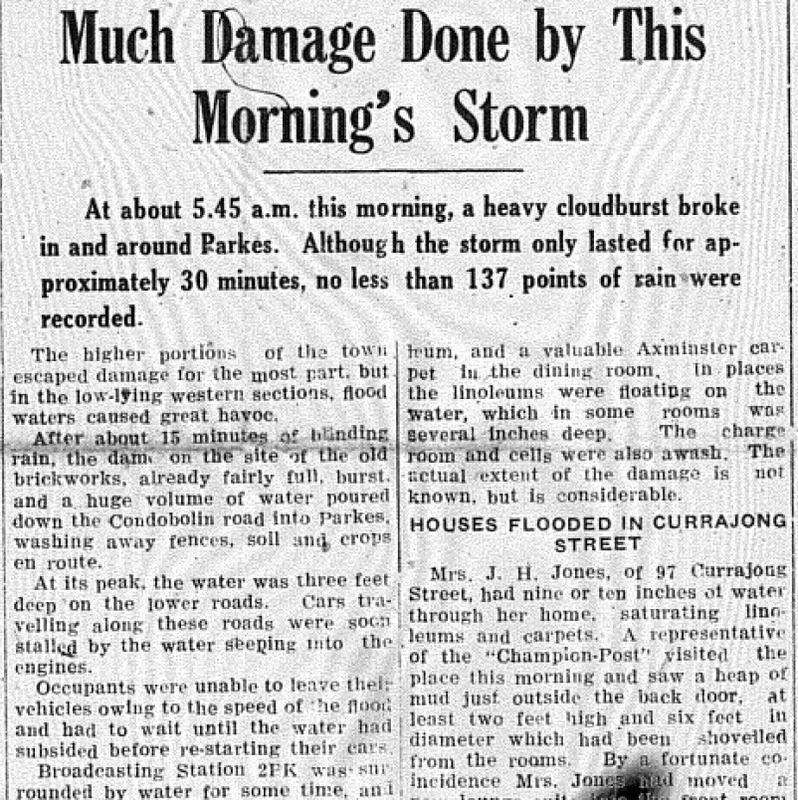 Rainfall – 1944 Worst “Dry” Since 1890 [Microfilm]. (1945, January 4). The Champion Post, p. 1. 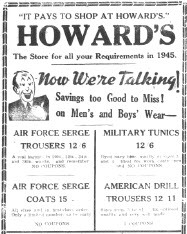 Howard’s [Advertisement]. (1945, January 4). The Champion Post, p. 1. Front page of The Champion Post. (1945, January 4). The Champion Post [Microfilm]. The Champion Post, p. 1. Much Damage Done by This Morning’s Storm [Microfilm]. (1945, February 26). The Champion Post, p. 1. 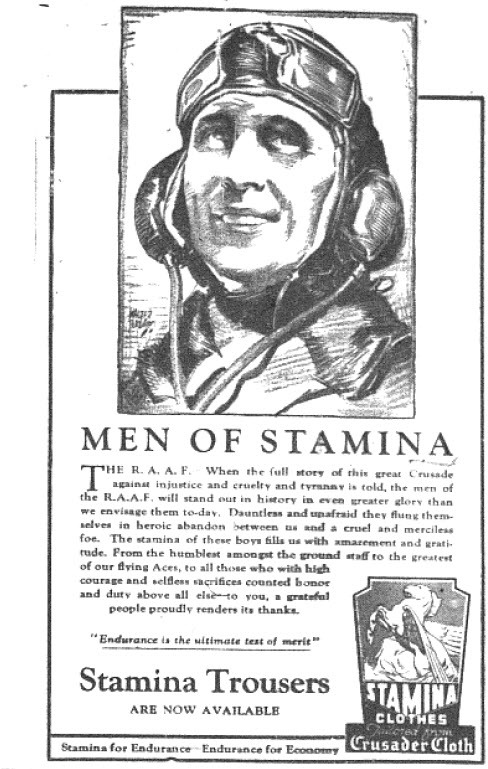 Men of Stamina [Advertisement]. (1945, January 4). The Champion Post, p. 3. Australian Wheat Crop. (1945, January 4). The Champion Post, p. 7. 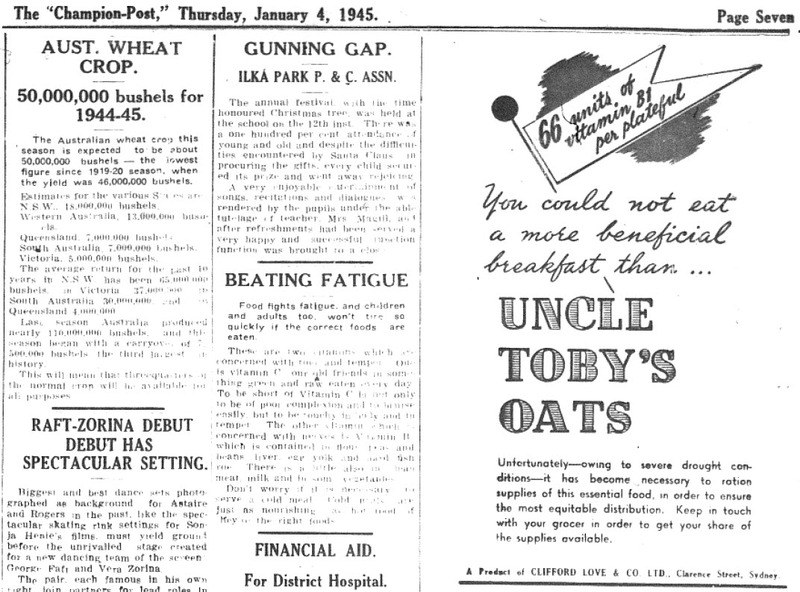 Uncle Toby’s Oats [Advertisement]. (1945, January 4). The Champion Post, p. 7. 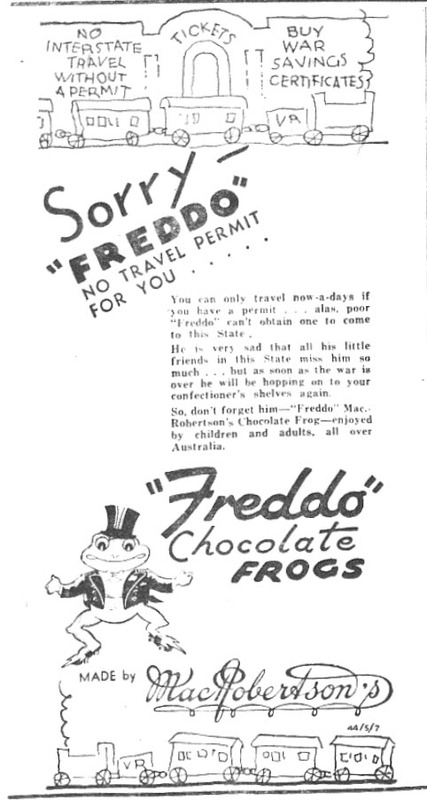 Freddo Chocolate Frogs [Advertisement]. (1945, January 11). The Champion Post, p. 3. 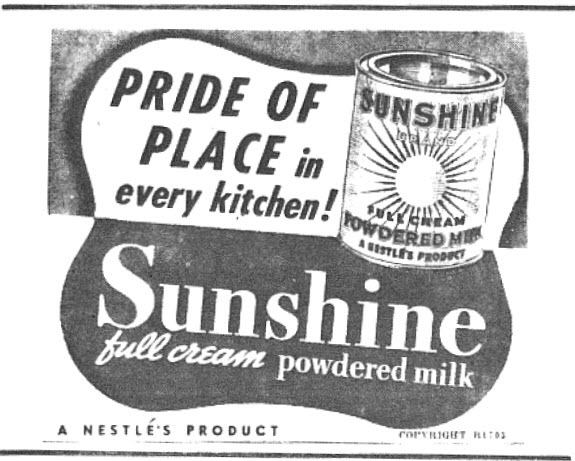 Sunshine Full Cream Powdered Milk [Advertisement]. (1945, January 18). The Champion Post, p. 6. 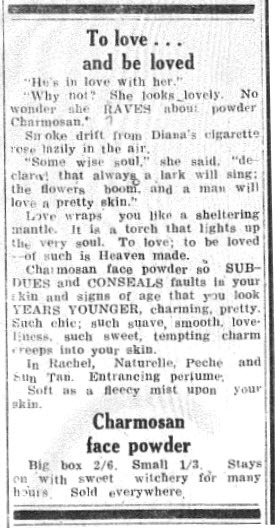 Charmosan Face Powder [Advertisement]. (1945, January 25). The Champion Post, p. 5. 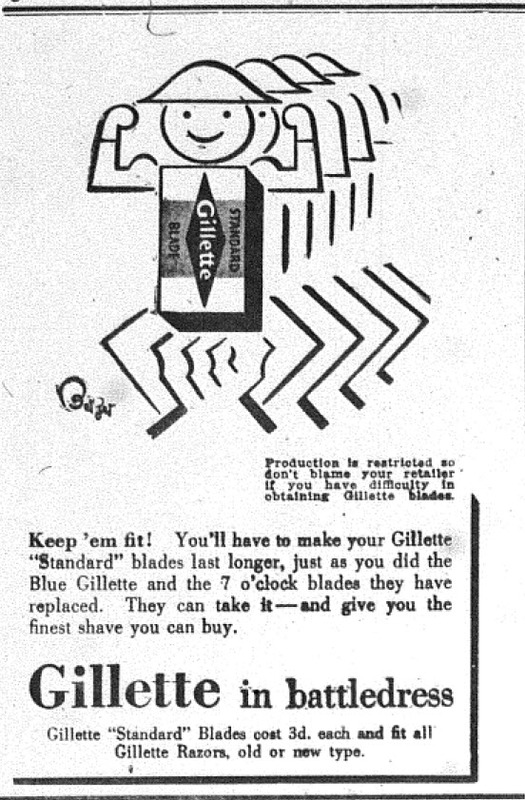 Gillette in battledress [Advertisement]. (1945, February 8). The Champion Post, p. 6. 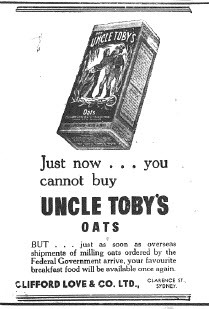 Uncle Toby’s Oats [Advertisement]. (1945, February 15). The Champion Post, p. 3. 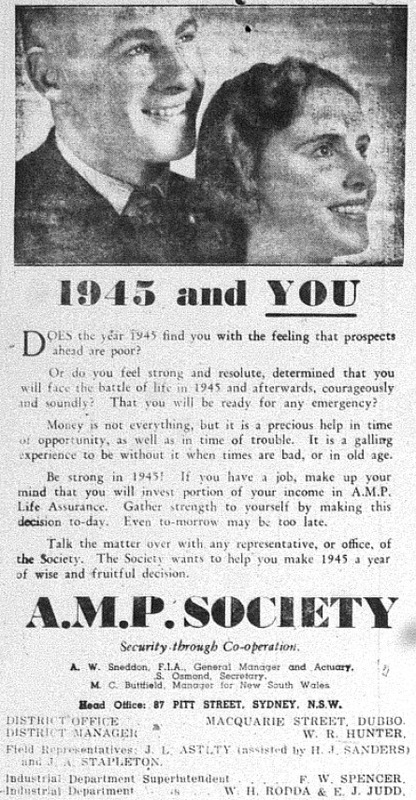 1945 and YOU [Advertisement]. (1945, February 15). The Champion Post, p.3. Who are YOU? [Advertisement]. (1945, February 15). The Champion Post, p.6. MacRobertson’s Cherry Ripe [Advertisement]. (1945, February 22). The Champion Post, p.6. This entry was posted on March 31, 2017 by parkeslibrary in 1940s, 2006 Census, controversy, General history, Legacy, Less, local historical articles, microfilm, Parkes, Parkes Library Family & Local History Resources, Print advertising in summer of 1945, Uncategorized, Weather 1945 and tagged advertisements, AMP Society, Australia in 1945, Australian Constitutional League, Bureau of Meteorology, bushels of wheat, Cadbury, Charmosan face powder, Cherry Ripe, Crusader Cloth, drought, Family & Local History, flash flood, Freddo, Freddo Frogs, George Santayana, Gillette, Gillette razors, Half penny, Harry Melbourne, Howard's, Howard's department stores, John Deere tractor, MacRobertson's, MacRobertson's Cherry Ripe, microfilm, Nestlé, Parkes Champion Post, Parkes Phoenix, Parkes Shire, Parkes Shire Library, points to millimetres conversion, rainfall, Second World War, Stamina Trousers, summer, summer in 1945, Sunshine Brand full cream powdered milk, Sunshine powdered milk, The Champion Post, Those who cannot remember the past, Those who cannot remember the past are condemned to repeat it, UK Prime Minister Churchill, Uncle Toby's, Uncle Toby's oats, war rationing, wheat shortage, Winston Churchill, World War 2.